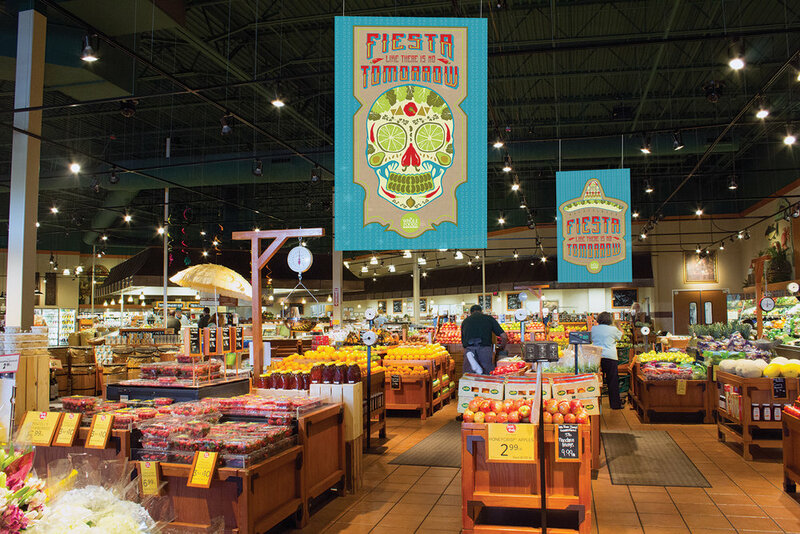 Whole Foods market is a grocery chain known for fresh foods, which have been incorporated in the ad for Cinco de Mayo. Fruits and vegetables common in Mexican cuisine were used to create the features of the sugar skull that is synonymous with Mexican culture. The system includes store banners, gift cards, and a sales flyer. 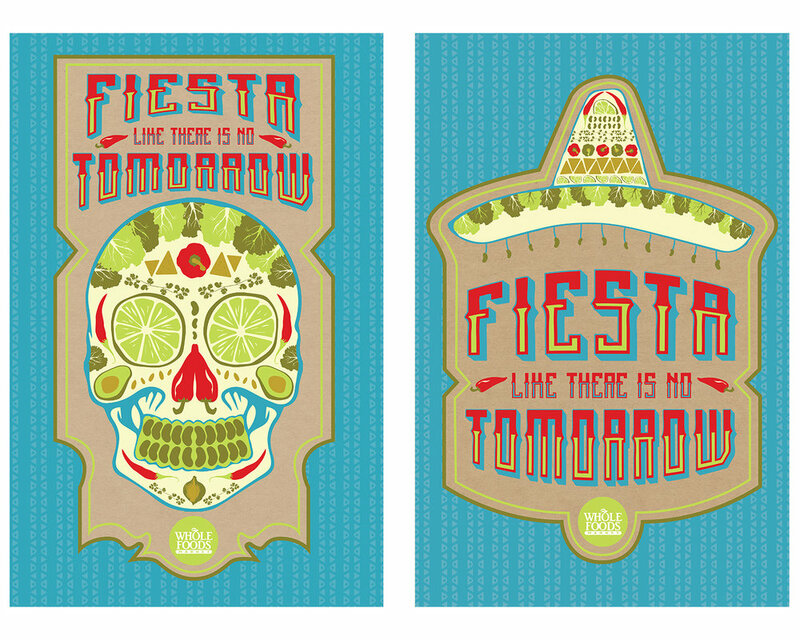 The typeface chosen has a festive Mexican style and is also bold and colorful so that it grabs the consumer’s attention.